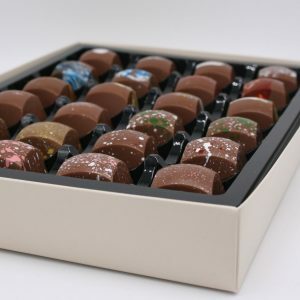 Box of 24 Milk and Dark Chocolate Rocky Road assorted flavours. Treat yourself with our most exciting collection to date. 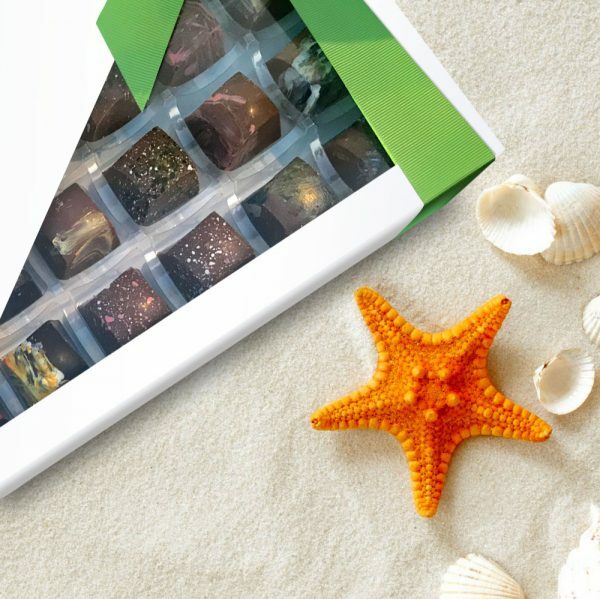 Our delicious mix of milk and dark chocolate Rocky Road is our most popular assortment box of 24 chocolates. It’s filled with the flavours you know and love with delicious milk and dark chocolate, so you can be sure there’s something for everyone to enjoy. 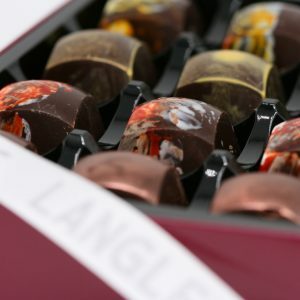 Flavours included are Cherry Bakewell, Eton Mess, Cornish Fudge, Cornish Gin, Lemon Merginue, Lime & Seasalt, Orange, and Rose in Milk Chocolate and Amaretto, Chilli, Ginger and Whisky in Dark Chocolate. 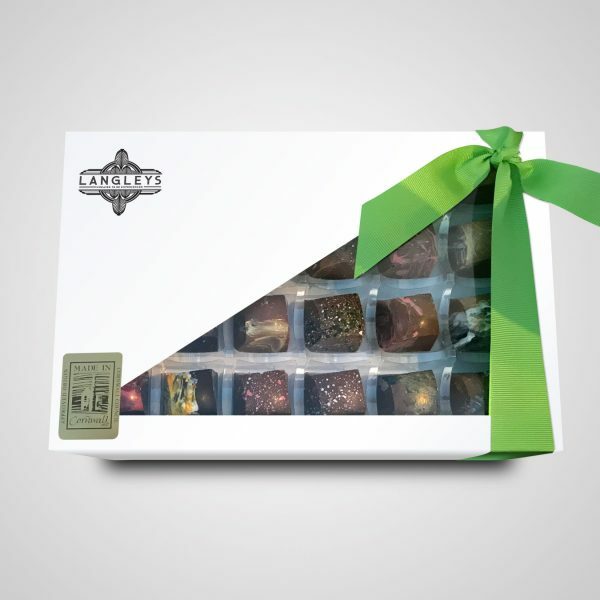 Add an Assorted Rocky Road box of 24 chocolates to your basket and see some of our other Rocky Road collections. 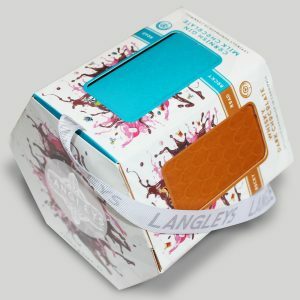 (Amanda – please supply correct detail for ingredients)(76%), FILLED WITH SOFT NOUGAT (4%), CARAMEL (3.5%), HONEYCOMB (2%), MARSHMALLOWS (5%), SULTANAS (9%) AND WHISKEY (<1%)SUGAR, COCOA BUTTER, WHOLE MILK POWDER, COCOA MASS, SULTANAS, NATURAL VANILLA FLAVOURING, SULTANAS, GLUCOSE SYRUP. SKIMMED MILK POWDER, SUNFLOWER OIL, MILK FAT, LACTOSE & PROTEIN FROM WHEY (FROM MILK), WHEY POWDER (FROM MILK), PALM FAT, FAT REDUCED COCOA, BARLEY MALT EXTRACT, SALT, EGG WHITE POWDER, MILK PROTEIN, WHEAT POWDER (FROM MILK), MILK FAT EMULSIFIERS (SOYA LECITHIN, E492), WHEAT FLOUR, PALM KERNEL FAT, PALM KERNEL OIL, RAISING AGENTS (E341,E500, E501), WHEAT GLUTEN, GLAZING AGENT (PECTIN), COLOURING (E102, E110, E171), WHISKEY (<1%)FOR ALLERGENS SEE INGREDIENTS IN BOLD.